During the Vietnam War, North Vietnam Army used Japanese and Soviet Union origined field guns and howitzers. One of them is ; 152 mm towed gun-howitzer also known as D-20, designed to defeat manpower, weapons and material of the enemy to the army mission depth. It is manufactured in the Soviet Union during the 1950s. The gun is mounted on a two-trail carriage provided with a firing platform. It is loaded and laid manually. 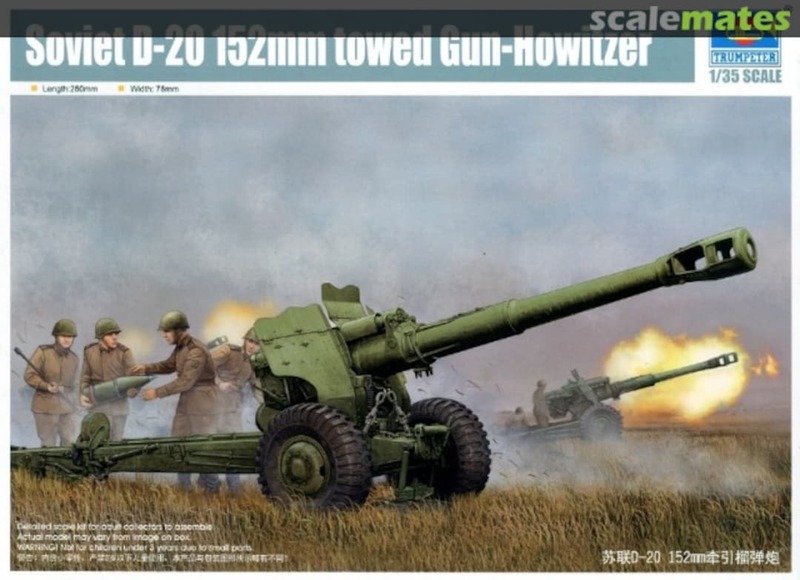 To improve the performance of the D-20 gun howitzer, it is provided with a flick rammer which increases the rate of fire and decreases the crew workload. Lately Paracel Miniatures released BVN3505 NVA artillery crew kit for Trumpeter 02333 but can also be used for other field guns used by NVA. Kit is served in a big square cardboard box labeled with boxart painted by Mai Chi Thuan showing the crew next to the howitzer. Crew members are numbered and individual photos are shown on the boxart. Inside the box; each figure body and other parts are inserted into seperate zip-lock bags. Figures are sculpted by Giang Xuan Le in 1/35 scale and cast in grey and white color resin. Sculpting is very nice in crisp details and casting is good with no mistakes but needs a minor cleanwork for seamlines and flash resin. Faces of all figures are nicely sculpted in different expressions and show realistic Asian facial features like snub nose, high cheek bones, stuffed lips and small slanting eyes. They have the same headgear; Soviet supplied SSh-60 Steel Helmet. Heads are cut for the fit of helmet and chinstraps are sculpted on the faces. Over white undershirts, they all wear standard NVA uniform of cotton shirt and trousers. Uniform color may vary from light khaki to green or dark OD green color. Shirt with long sleeves has two pleated breast pockets with pointed flap covers, some versions have shoulder straps and all buttons are brown plastic. Trousers has two side and two rear slit pockets. They have imitation leather NVA Army belt and carry utility bags with shoulder straps that can be used for ammo, medical stuff,grenade, spare magazines or other stuff. 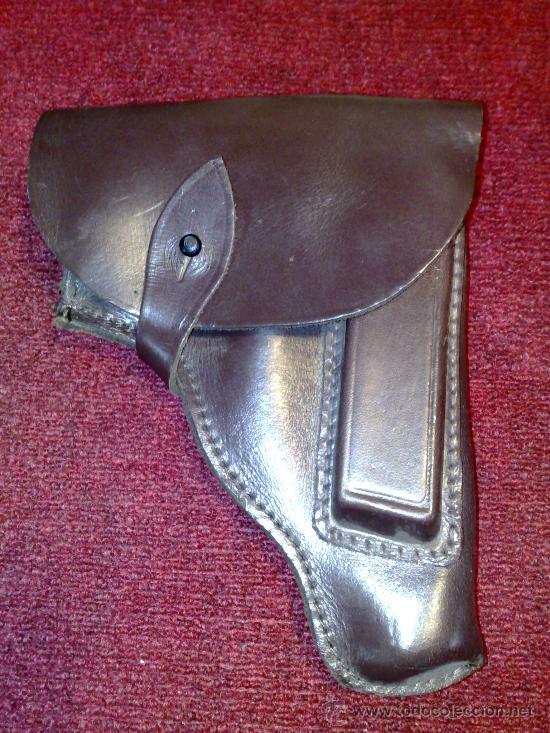 Footgear is Bata style shoes copied from the French Army Patauga boots,widely worn during first Indochina War. Commander figure has a camouflaged blanket or a shelter half on his shoulders worn like a cape. He carries a leather mapcase on the left, a Makarov holster with NVA cloth pistol belt on the right and a binoculars on his neck. He has a signal flag on left hand. Small flag pole is given in the kit but flag should be added by the modeler. Loader carrying charge has a Double stick grenade pouch attached to his belt. One shell and one charge are supplied as bonus parts for an artillery scene. If you have plans to build a North Vietnam Army field gun position, this one is a good kit to meet expectations and can be painted with pleasure as an artillery crew. Poses are natural and realistic for a firing position, uniforms and personal gear fit to references. Sculpting is nice, assembly is easy with less parts. Highs: 5 figures in one kit, ease on assembly, realistic poses, well defined uniform details, extra ammo for diorama scene. Verdict: Full crew for 152 mm towed gun howitzer and can be used for all other NVA artillery positions.